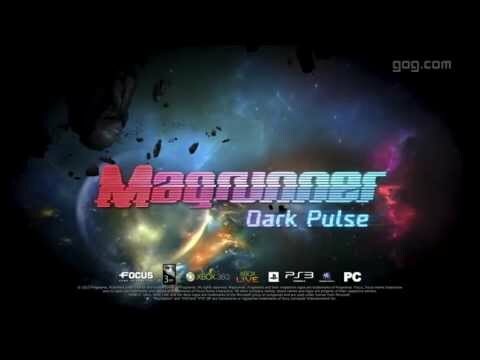 About: Magrunner: Dark Pulse is an action-puzzle game in which technology confronts the Cthulhu Mythos, as imagined by author, H. P. Lovecraft.You are Dax, one of seven Magrunners selected among the elite to participate in MagTech Corporation's space training program. But, what should be the chance of a lifetime quickly becomes a horrific nightmare. Minimum system requirements - Windows: Windows XP / Vista / 7 / 8, AMD/Intel dual-core 2.4 GHz processor or higher, 2 GB RAM or more, Nvidia GeForce 8800/ATI Radeon HD 4800 3D graphics card with 256 MB VRAM compatible with DirectX 9.0c (Shader Model 3.0 support required), 4 GB HDD, DirectX 9.0c-compatible sound card, Mouse, Keyboard.